It’s beginning to look a lot like summer (we hope) and we all know very well that sunshine quickly translates to sunburn, if we’re not careful. For those of you off on your holidays, you’re likely to want a product that gives you great protection in the water as well as on the beach. But what if you could also get something that helps protect sea creatures, plants and their environment? 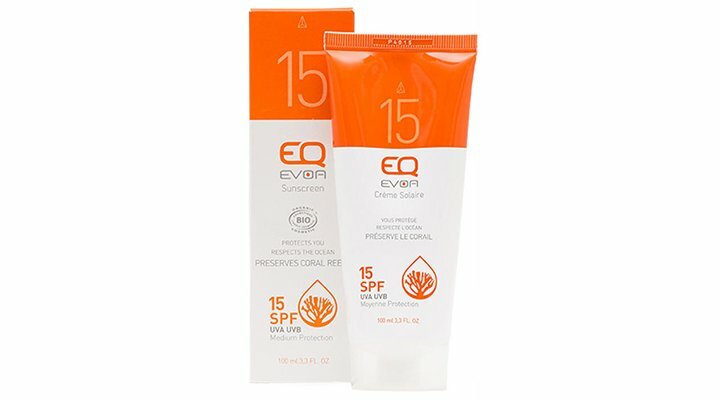 Look no further than EQ Sun Protection – the world’s first sun care range respectful to the marine environment and coral reefs. EQ Sun Care sets itself apart from other brands, with its leading organic sun protection range. Tested and validated by surfers all over the world, EQ combines quality skin protection with natural ingredients which seek to preserve the environment. The range is dermatologically tested and suitable for photosensitive skin. The products are 100% natural – no parabens, no chemical filters, no nanoparticles. The EQ collection categorises into: Sun care (Sunscreen, Sun Sticks & Lipstick), and Body care (After Sun Moisturising Milk, Self-Tanning and Dry Oils). The products are made from four ingredients: Organic Apricot Seed Oil, Organic Safflower Oil, Organic Olive Oil and Beeswax. This combination of ingredients hydrates and soothes the skin. For a full list of products and prices, click here.